Sunday, June 21, 7:00 pm. 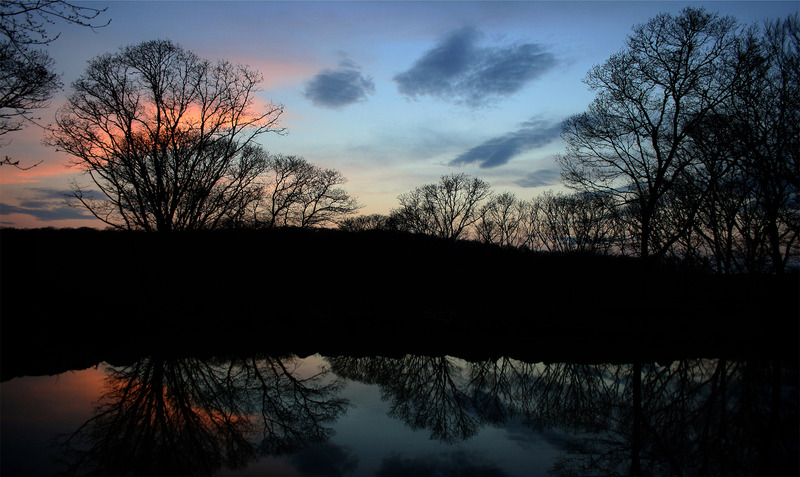 This year, solstice night presents two great options for getting outdoors and reconnecting with the natural world. In Aquinnah, Sassafras hosts their annual free potluck with live jazz music and a solstice fire and ceremony (more info here). Or, welcome the beginning of summer at Felix Neck with music, stories, food, and a camp fire; event admission is $4 (free for members). Farm Club Saturday, June 27, 11:00 am to 3:30 pm, Katama. The Farm Club, a year-round program held on the last Saturday of the month, presents a lower-cost option to experience what the FARM Institute has to offer in the summer months. Membership costs ($10 per session) are matched and placed into an account to be used for projects and trips. For more information see website, email, or call (508) 627-7007. 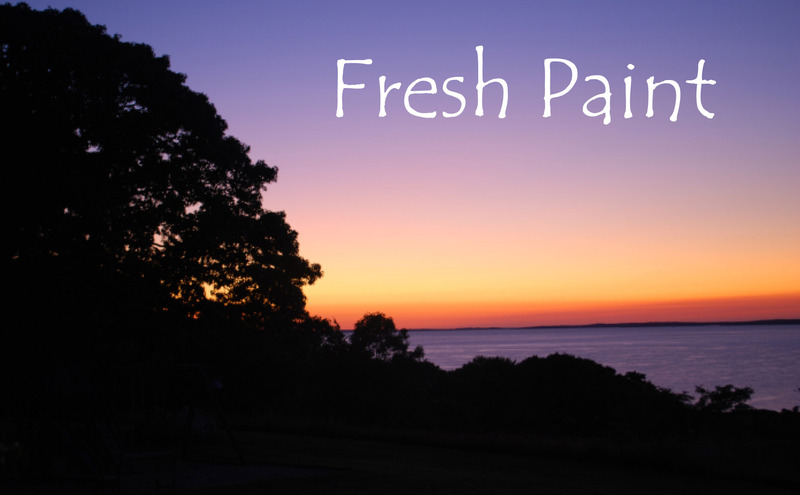 Thursdays, starting June 25, 8:00 to 9:30 am, Edgartown. A casual walk at Felix Neck Sanctuary in search of summer birds. Free with general admission ($4, children $3), for more info call (508) 627-4850. Starting this week (and until Aug. 26) the Farmers' Market is on two days a week. Outside of the Grange Hall in West Tisbury. For more info, see website. If you have an ice cream maker, don't let the rest of strawberry season pass by without trying this. Pick up some real yogurt from Mermaid Farm (near the down-Island end of Middle Road) and strawberries (Mermaid might still have some, or check out the Strawberry Festival at Morning Glory Farm this weekend!) and you're almost done. Like many other frozen yogurt recipes, this simple one from "Once Upon a Chef" uses a small amount of liquor to keep it from becoming too solid after storing in the freezer. However, this is very much optional -- it is still quite good even when hard as a rock! See "Once Upon a Chef" for preparation and other tips. 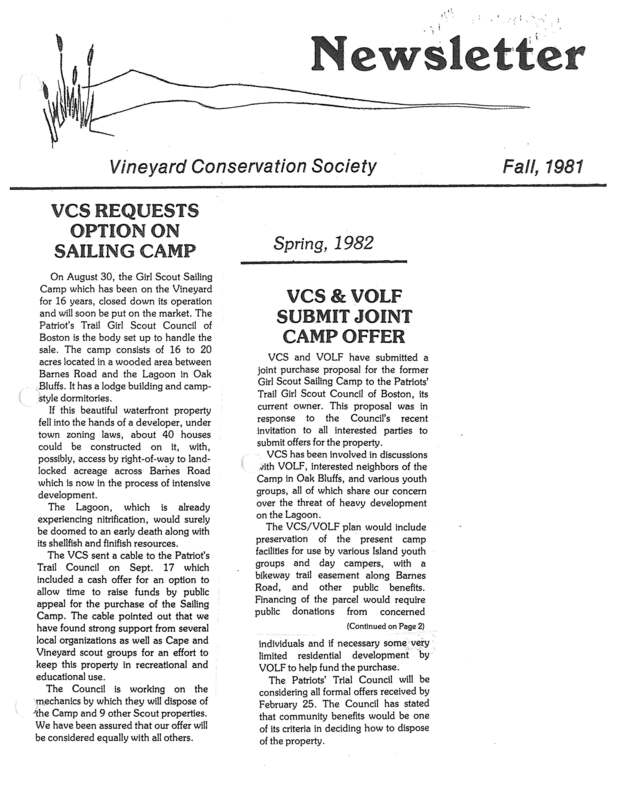 For fifty years, VCS has worked to protect the land, water, and natural beauty of Martha’s Vineyard. In the 1960s, the nature of the mission was conceptually simple (if sometimes difficult in practice): protect the remaining special places and critical natural habitats on the Island from unfettered development. In a time before the Land Bank or MV Commission, with no local zoning regulations or town Conservation Commissions, the pressing need was to provide tools and motivation for private landowners to conserve natural areas instead of developing them. As new environmental issues have emerged over the decades, VCS has adapted its mission to include protection of family farms and promotion of sustainable agriculture, advocating for recycling and better solid waste disposal, energy conservation, water quality protection, and much more, all while maintaining an active focus on land protection through facilitating purchases and conservation restrictions. The focus of our Annual Meeting in our 50th anniversary year will be to look ahead: what will be the issues, challenges, and opportunities of the next half century? We know that some will be impossible to predict; to that end, our Connect – Reflect – Protect initiative is meant to foster in our next generation the passion and knowledge to address what we can’t foresee. But for one night, June 23, we’re going to pull out the crystal ball for special guests John Abrams and Marc Rosenbaum, who will lead an informal conversation about sustainability for the coming decades. 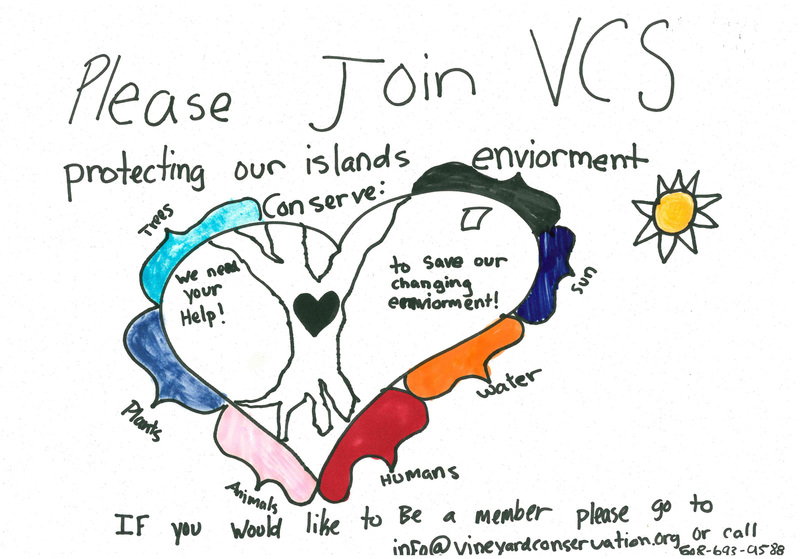 How do we balance the challenges facing this unique island (threatened rare habitats and water quality, a housing shortage, climate change, a seasonal economy, declining fish stocks, an aging population, etc) and what is VCS’s role as an environmental organization? So please join us from 5 to 7 at the Ag Hall in West Tisbury for great food, a quick look back, and a longer look forward. The meeting is free for VCS members and family, $10 per person for the public. 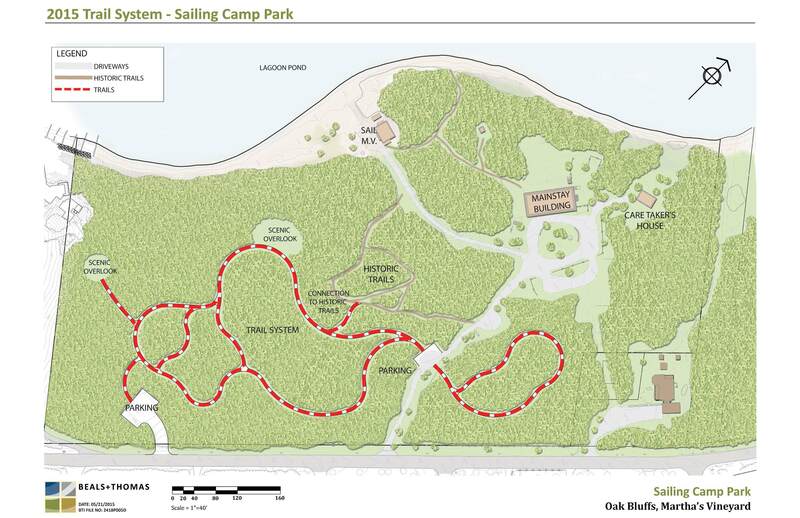 There will be a grand opening from 10:00 - 2:00 on June 28 to celebrate the creation of new trails looping through Oak Bluff's Sailing Camp Park. 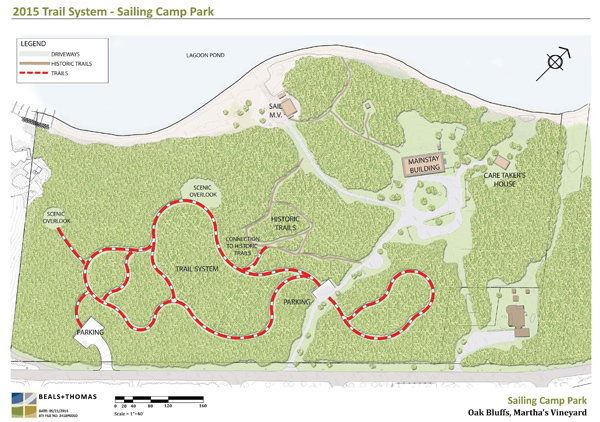 The park, purchased by the Town in 1983, represents 15 acres of conservation land including woods, beach, and scenic views of Lagoon Pond and the Vineyard Haven harbor. It is open to the public from dawn to dusk. This spring, our Art of Conservation high school art contest asked students to meditate on the importance of water, expressing what it means to them through their works. Despite having a more specific theme than last year, all evidence suggests they still had plenty of room for personal interpretation. (After clicking the link, look for the “slideshow” button at the top left.) Congrats to all the winners, and thank you to all who participated!